Military troops that have been assisting in border protection at the request of President Trump will begin returning home as early as this week, Politico reports, with all active-duty troops expected to be back by Christmas. The big picture: Trump ordered troops to be sent to the border as a caravan of Central American migrants began its journey through Mexico toward the U.S. and shortly before the midterm elections. The U.S. Northern Command said through a spokesperson that they are continuing to "assess the situation" and plan to continue supporting Customs and Border Protection until at least Dec. 15 as originally scheduled. 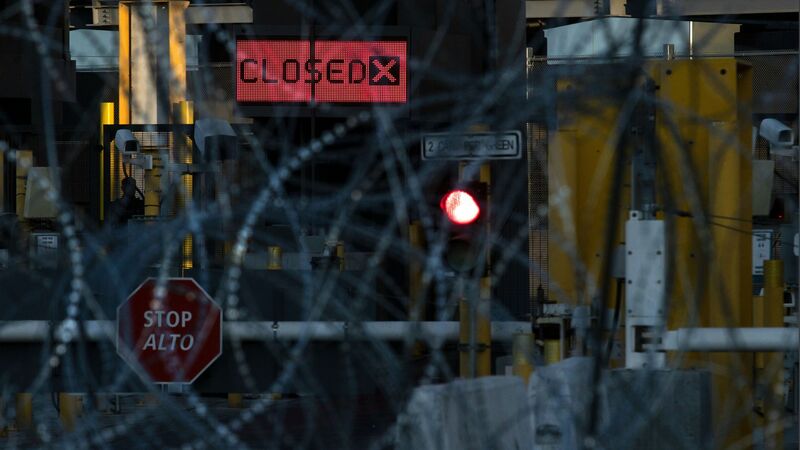 Between the lines: The troops may be leaving, but the caravans are still coming —causing U.S. officials to close a popular port of entry near San Diego. Trump has insinuated that troops should open fire on the caravan if they get violent and throw rocks. Army Lt. Gen. Jeffrey Buchanan, in charge of the mission, confirmed to Politico reports that DHS had requested that troops back up Border Patrol agents in case of any violence at the border. That request was denied, Buchanan said. Trump tweeted Monday afternoon an image of a border fence covered in barbed wire, saying, "no climbers anymore under our Administration!" Reality check: Since the U.S. military has been sent to the border, 12.5 miles (of the roughly 2,000 miles of U.S. border) of fencing has been covered in barbed wire, a Homeland Security official told Axios.